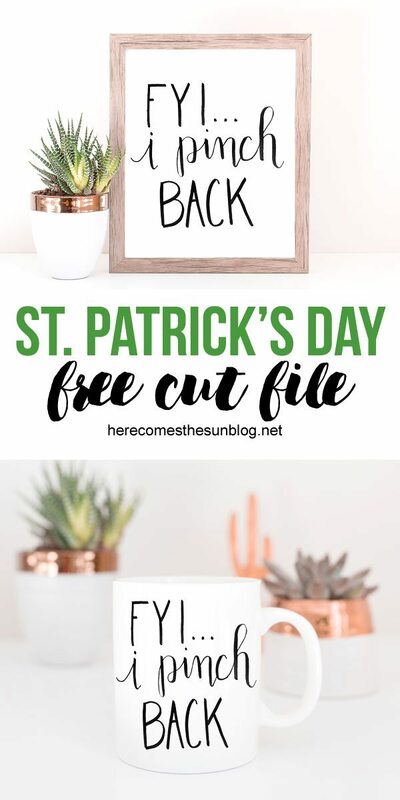 This St. Patrick’s Day free cut file is perfect when you just need to get your message across. Ever have those days where you just don’t want to adult anymore? Yeah, me too. I’ve officially reached the “get-off-my-lawn” stage of my life. I just have no energy left for dealing with any shenanigans and sometimes people annoy me so much. I want to yell “get off my lawn” to just about everyone these days. But that really wouldn’t be polite and I’m trying REALLLY hard not to be the yelling type of person. Here’s my solution… pinch back. Yes, sometimes it has to be done. But I’m not going to REALLY pinch back… I’m just warning people that I will if you mess with me. And now with this free St. Patrick’s Day cut file, you can warn everyone too so maybe, just maybe people will think twice about messing with you. This cut file would be especially appropriate on your morning mug of coffee. Download the cut file. You can access them in the resource library, below. Save it to your computer This file is for use with a Silhouette machine. Weed the vinyl and apply transfer tape to the vinyl. See how to use transfer tape in this tutorial. Place the design onto your surface, press down and remove the transfer tape. This quote would also look great on a shirt using green heat transfer vinyl. Not sure how to use heat transfer vinyl? Check out this post for a heat transfer vinyl tutorial. Want more free cut files? 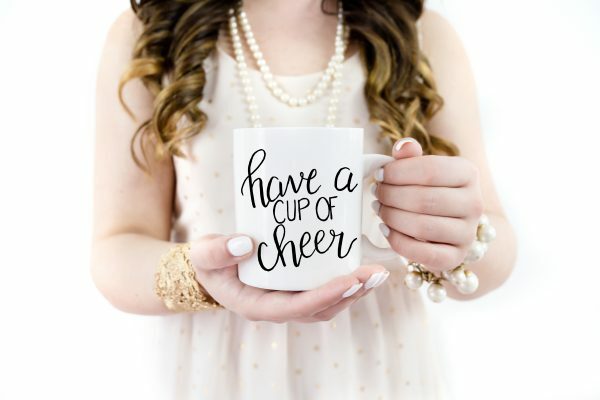 Check out my “Have a Cup of Cheer” cut file.